Taj Mahal. Size: 8.65 x 8.65 x 5.67 cm. Denne krystall basen brukes for å plassere dine figurer. Gir dem mer glans og eksklusivt utseende, gir magi til glitrende krystaller. A universal symbol of love, the Taj Mahal is the latest landmark to receive a Swarovski interpretation. Designed entirely in clear crystal, this stunning piece is both modern and timeless, with bold and intricate facets creating brilliant sparkle. Remember a favorite holiday, or dream of your next destination, with this spectacular creation. 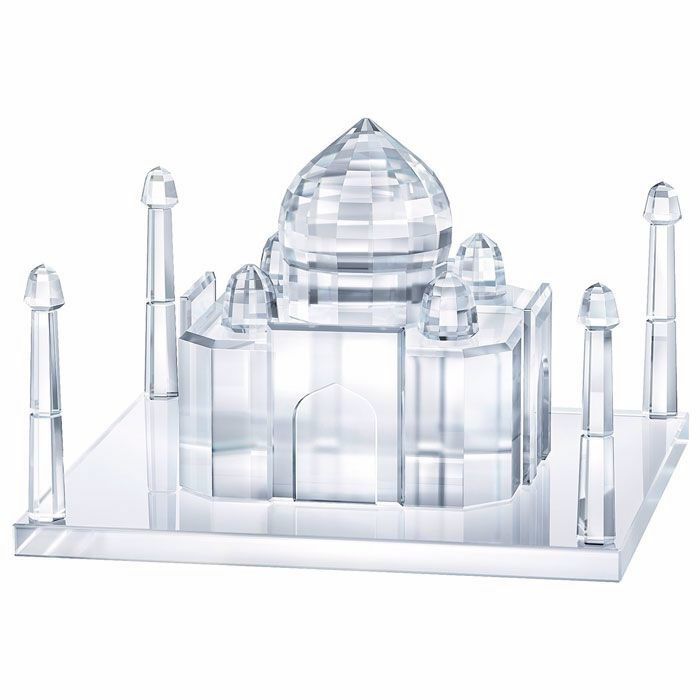 A true delight for romantics and admirers of the famous Indian attraction, which is great for gifting. Decoration object. Not a toy. Not suitable for children under 15.